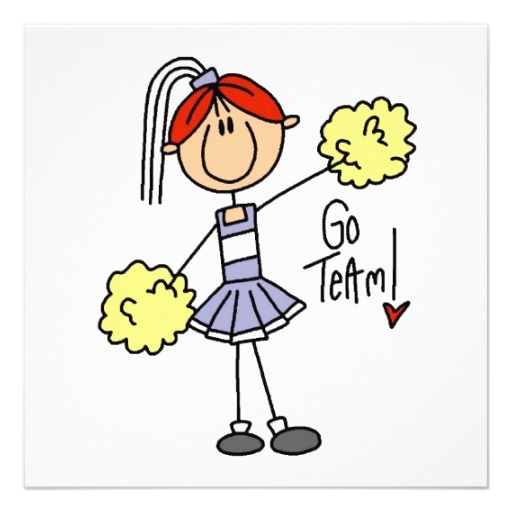 Cheerleading for Personal Growth: No Thanks Required! Recently, I had the lovely surprise of hearing from students I taught some forty years ago. Yes, forty. They were in high school then, filled with humor and love and energy. I was more energetic myself. We spent many hours of their high school career together in classes and presenting plays. I left to attend graduate school and never expected to hear from my “fan club” again. I’m humbled that I’m remembered at all, but to be remembered with many kind words is touching. We go through life trying to be worthy, to share whatever gifts we have. Most of the time, we have no clue if we accomplished anything significant. Many of my colleagues and administrators then and ever after were convinced that I must have been easy to be so popular. A survey conducted in those early days by the H.S. social studies classes identified me as the best teacher in the school. Rumors in the faculty lounge couldn’t decide if I was a lesbian or sleeping with the senior boys. (Neither was true.) They never understood. I didn’t work for good scores. I worked for personal growth. I worked from my heart. I worked until I burned out. Now I discover I won. Over the years, my students—some, not all–achieved both good scores and personal growth and had fun doing it. There are numerous teachers who are as skilled as I was and far more so. Few are appreciated by anyone who didn’t sit in the seats before them. The documentary A TOUCH OF GREATNESS showcases Albert Cullum, a teacher who used entertaining, challenging, unconventional methods to help his students learn more than content. He wasn’t as popular in the faculty lounge as he was with his students. Other teachers wanted to think he was cheating by making learning fun. The bottom line is we (teachers, parents, friends) touch others most and best when we reach out from the heart, using good humor, creative wit, and kindness to help the person build his own character, critical thinking, and self-confidence. Teachers, parents, and friends should empower those we teach, ultimately making our help unnecessary. We don’t mold people; we fertilize and prop up growth. We as human beings may never realize which people we have touched or how. My teacher friends agree that the students we help most profoundly are often not those with whom we spent the most time and energy. They’re the quiet ones who absorb and then blossom. I remember the first girl who came back to see me years after her H.S. graduation to tell me how I had almost literally saved her life. I didn’t remember her name. The students I taught later were with me far less time and rarely remembered my name. That’s okay. My name wasn’t the important part. The students who benefit most from teaching are invariably people who needed little more than a caring cheerleader and direction. That was my job—support. I’m proud to have done it. Kudos ,Susan. You did a difficult job well. This entry was posted on March 28, 2015 by Personal Journeys with Gramma in Life Stories and tagged A Touch of Greatness, Accomplishment, Albert Cullum, Appreciation, Being Remembered, Building Character, Connections, Critical Thinking, Empowerment, Encouragement, featured, Growth, Honored, Kindness, Life Stories, Personal Connections, Personal Growth, Personal Success, Self-Confidence, Success, Support, Teaching, Working from Heart.